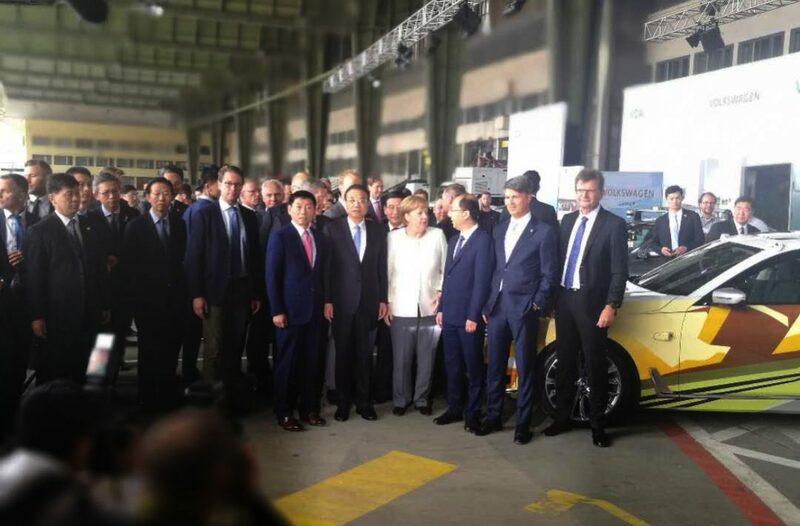 Chinese Premier Li Keqiang and German Chancellor Angela Merkel presided over the fifth round of Chinese-German inter-governmental consultation in Berlin. 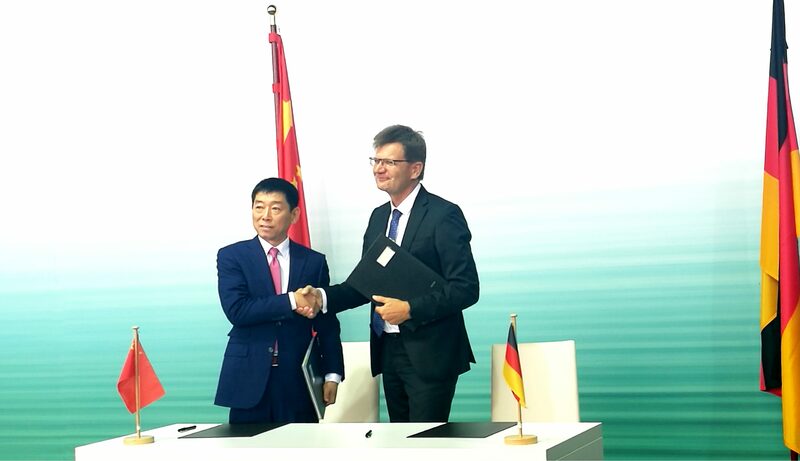 Witnessed by Chinese and German government officials, the joint venture contract is entered into between Great Wall Motor Company Limited (hereinafter referred to as GWM) and BMW Holding B.V. (hereinafter referred to as BMW). According to the Contract, the joint venture with 50 % of the shares held by GWM and BMW respectively is named: Spotlight Automotive Ltd., with a registered capital of RMB 5.1 Billion (approx.R10.2 Billion). The registered address is in Zhangjiagang, in the Jiangsu Province. The Board of Directors consists of six members, in which the chairman is appointed by GWM and the Vice Chairman by BMW, serving a total of four years. The JV has planned an international advanced vehicle plant with an annual standard capacity of 160,000 vehicles. This is the first BEV (Battery Electric Vehicle) joint venture project for the BMW Group worldwide and the bridgehead for the GWM New Energy Vehicles (NEV) to enter the global market. Based on multi-round communication and mutual benefits, this commercial cooperation between GWM and BMW complies with the national industry policy trend, and meets the social demands of new energy vehicles featuring energy conservation, environmental protection and high efficiency. Focusing on new energy vehicle field, the JV will integrate technology, resources and management advantages of both parties to develop a new generation of BEV. As one of ten key national development fields in China, “Energy-saving and new energy vehicles” aims at promoting the travel modes centered on low carbon, energy conservation and environmental protection. The cooperation between GWM and BMW effectively responds to the optimization and upgrade of the new energy industry in China. Great Wall Motor has layouts in the core areas of new energy vehicles, such as motors, electric controls, and power batteries. It has built batteries, mechanism analysis, PACK, BMS trial laboratories, and battery trial workshops, test centers, and analysis centers. In addition, Great Wall Motor has established a new energy technology R&D center in Seongnam-si, Gyeonggi-do, South Korea, and Lower Austria, Austria, using state-of-the-art talent resources to collaborate with domestic development of advanced technologies. The cooperation of Great Wall and BMW is a new example of open cooperation between China’s auto industry and a trend of optimizing and integrating resources around the world. It is conducive to integrating each other’s expertise and deepening the broader international market. GWM is a world-renowned SUV manufacturing company with a deep understanding of the Chinese auto market and a far-reaching layout for the international market. The Great Wall was listed in Hong Kong H shares and domestic A shares in 2003 and 2011 respectively. By the end of 2017, the total assets reached RMB 110 Billion (approx. R220 Billion). At present, it owns four brands namely Haval, Great Wall, WEY and Euler. In 2016 and 2017, the company sells more than one million vehicles annually. GWM has rich vehicle R&D, production and operation resources, and is in the core of traditional power and new energy vehicles. The field of parts development and manufacturing has a deep accumulation. BMW is one of the world’s leading manufacturers of automobiles and motorcycles. It has a history of 100 years of manufacturing. 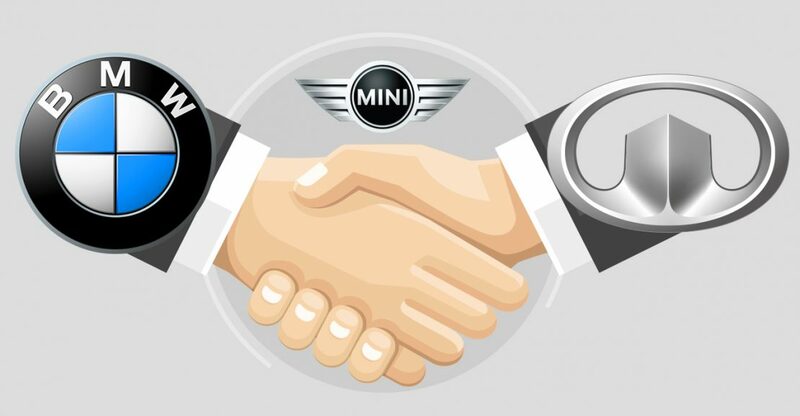 It owns four brands, namely BMW, MINI, Rolls-Royce and BMW Motorrad. It also provides auto finance and high-end travel services. This cooperation is a powerful complement to BMW’s global strategy for new energy vehicles and to the international strategy of GWM. It is a strong alliance of powerhouses. In the future, through deep cooperation between the two sides in brand building, management system, manufacturing and technology research and development, it will certainly open up a broader market space and accelerate the globalization process and the pace of new energy development.